George P. Bush is an American politician, attorney, U.S. Navy Reserve officer, and real estate investor. He is the 28th Commissioner of the Texas General Land Office, having served in the position, since January 2, 2015. George is the son of Columba Bush (born Columba Garnica Gallo) and politician Jeb Bush (John Ellis Bush), who served as Governor of Florida from 1999 to 2007. George is the grandson of Barbara Bush (born Barbara Pierce) and the 41st President of the United States, George H. W. Bush (George Herbert Walker Bush), and the nephew of the 43rd President of the United States, George W. Bush (George Walker Bush). Among his cousins is journalist Jenna Bush Hager. George is married to attorney Amanda L. Williams, with whom he has two children. George’s father is largely of English ancestry, with some German roots, and a small amount of Scottish, Scots-Irish/Northern Irish, Welsh, Irish, French, Dutch, Swedish, and Belgian [Flemish], and 1/256th Moravian, ancestry. George’s mother is Mexican, from León, Guanajuato, Mexico. George’s paternal grandfather was George Herbert Walker Bush (the son of Prescott Sheldon Bush and Dorothy Wear Walker). President Bush was born in Massachusetts. Prescott was a politician and banker, who served as a United States Senator from Connecticut from 1952 to 1963. Prescott was the son of Samuel Prescott Bush and Florence “Flora” Sheldon. Dorothy was the daughter of George Herbert Walker, a prominent banker and businessperson, and of Lucretia “Loulie” Wear. George’s paternal grandmother was Barbara Pierce (the daughter of Marvin Pierce and Pauline Robinson). Barbara was born in New York. Marvin was the president of McCall Corporation, a publisher of women’s magazines McCall’s and Redbook. Marvin was the son of Scott Pierce and Mabel Marvin. Pauline was the daughter of James Edgar Robinson and Lula Dell Flickinger. George’s maternal grandfather is José María Garnica Rodríguez (the son of Hilario Garnica and Olalla Rodríguez). 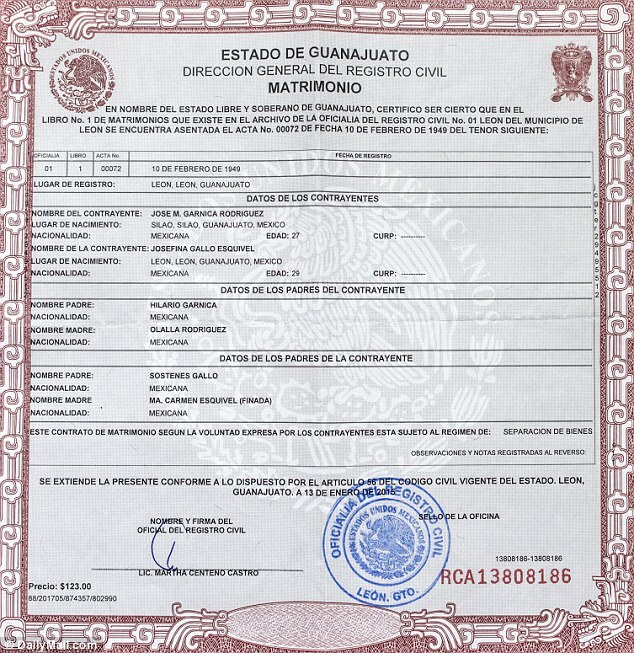 José was from Silao, Guanajuato, Mexico. George’s maternal grandmother is Josefina Gallo Esquivel (the daughter of Sostenes Gallo and Ma. Carmen Esquivel). Josefina was from León, Guanajuato, Mexico. There is a claim on several web sites that one of George’s paternal great-great-great-great-great-great-grandfathers, Victor Emanuel Bechi, was Italian. It is not clear if this claim is accurate. Victor Emanuel Bechi is described in one reference book as having come from “Strasburg in the Province of Alsace-Lorraine” (in “Americans of gentle birth and their ancestors”, Volume 1, Hannah Daviess Pittman, Genealogical Pub. Co., 1970). That suggests that Victor Emanuel Bechi may have been of ethnic German origin. The surname “Bechi” can be Italian. George is a sixth cousin, twice removed, of actress Lily James. George’s paternal great-great-great-great-great-great-grandmother, Sarah Horton, was a sister of Lily’s paternal great-great-great-great-grandfather, Stephen Horton. Their parents were Comfort Horton and Joanna Wood. George is also a first cousin, five times removed, of Associate Justice of the Supreme Court David Davis. George’s five times maternal great-grandparents, John Mercer and Rebecca Davis, were also Justice Davis’ maternal grandparents.